PITTSBURGH—Copyright looms as perhaps the most significant impediment that librarians, researchers, and others face in creating digital libraries. Scholar Pamela Samuelson—a pioneer in digital copyright law, intellectual property, cyberlaw, and information policy— will consider the role of copyright and the “fair use” limitation to copyright protection during her free public lecture, “Overcoming Copyright Obstacles to Creating Digital Libraries,” at 2:30 p.m. Tuesday, Feb. 19, in the Teplitz Memorial Moot Courtroom of the University of Pittsburgh School of Law, 3900 Forbes Ave., Oakland. Samuelson is the Richard M. Sherman Distinguished Professor of Law and Information at the University of California, Berkeley, and a faculty director of the Berkeley Center for Law & Technology. Her academic pursuits began at the University of Pittsburgh School of Law, where she served as a member of the faculty from 1981 to 1996. A member of the Berkeley faculty since 1996, Samuelson has been a distinguished visiting professor at the University of Toronto Law School and a visiting professor at the University of Melbourne and Harvard law schools. In 2002, she was named an honorary professor at the University of Amsterdam. Samuelson earned a bachelor’s degree in history and a master’s degree in political science at the University of Hawaii at Honolulu before earning her Juris Doctor degree at Yale Law School. Having written and published extensively in the areas of copyright, software protection, and cyberlaw, Samuelson is the author of articles that have appeared in such journals as the European Intellectual Property Review, the George Washington University Law Review, the Columbia Journal of Law & the Arts, and the Berkeley Technology Law Journal. Samuelson’s lecture is presented by the Sara Fine Institute in Pitt’s School of Information Sciences and the Innovation Practice Institute in Pitt’s School of Law. For more information, call 412-624-9473 or email mbc20@pitt.edu. 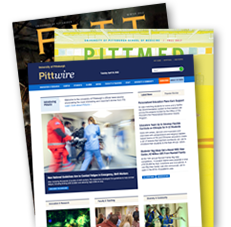 The Sara Fine Institute in the University of Pittsburgh School of Information Sciences (SIS) is dedicated to examining the ways in which technology impacts interpersonal communications and relationships with family, friends, professional colleagues, governments, the health care industry, and educational institutions. Founded to honor the 23-year teaching career of the late Sara Fine—a former SIS professor who earned her bachelor’s, master’s, and PhD degrees in education at the University of Pittsburgh—the institute promotes research that builds upon Fine’s research on human interaction with information and technology. The Innovation Practice Institute in the University of Pittsburgh School of Law is a first-of-its-kind collaboration between a law school, the practicing bar, and local innovators and entrepreneurs. Reimagining how the legal profession can advance regional economic development efforts, the institute trains law students to think like—and work with—innovators.